Download on your phome, tablet, or PC at: Amazon.com; Amazon.com.mx; Barnes and Noble.com; Kobo.com and on Google Play. Search William J. Conaway. 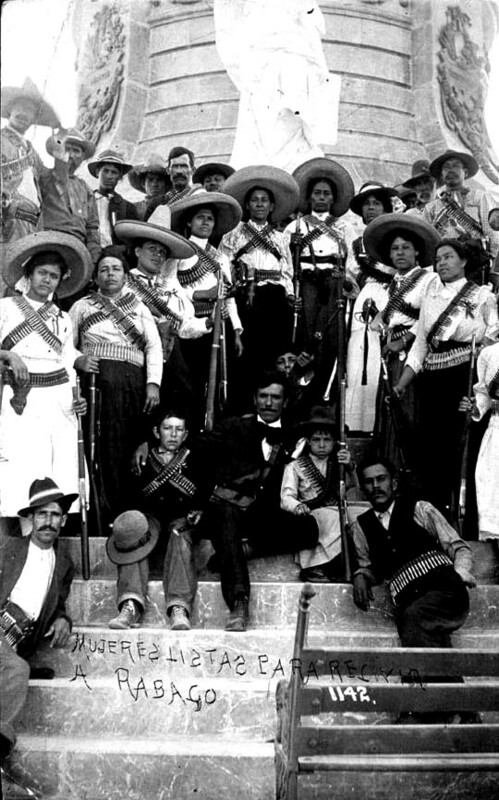 Tags: Adventure Mexico, history of mexico, Mexican History, mexican revolution 1910, William J. Conaway. 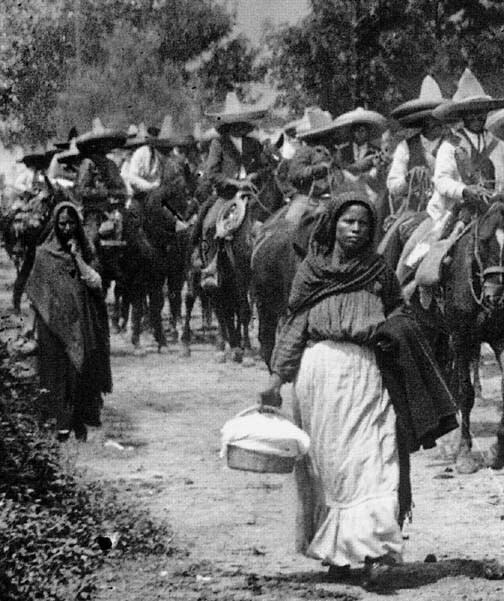 Tags: history of mexico, mexican revolution 1910, Mexico, William J. Conaway. An excerpt from my, “A Gringo Guide to Mexican History”. 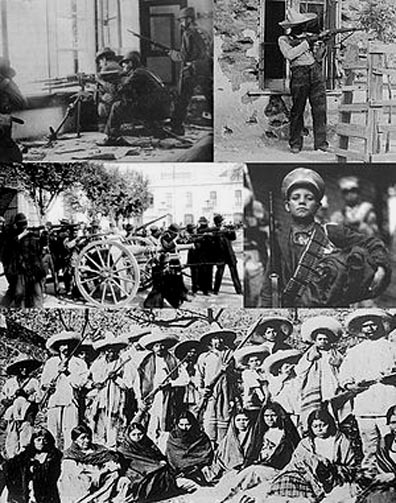 Tags: Adventure Mexico, Archbishop of México, Don Juan de Zumárraga, Mexican History, mexican revolution 1910, William J. Conaway. Download on Amazon.com; Amazon.com.mx; Barnes and Noble.com; Kobo.com and on Google Play. 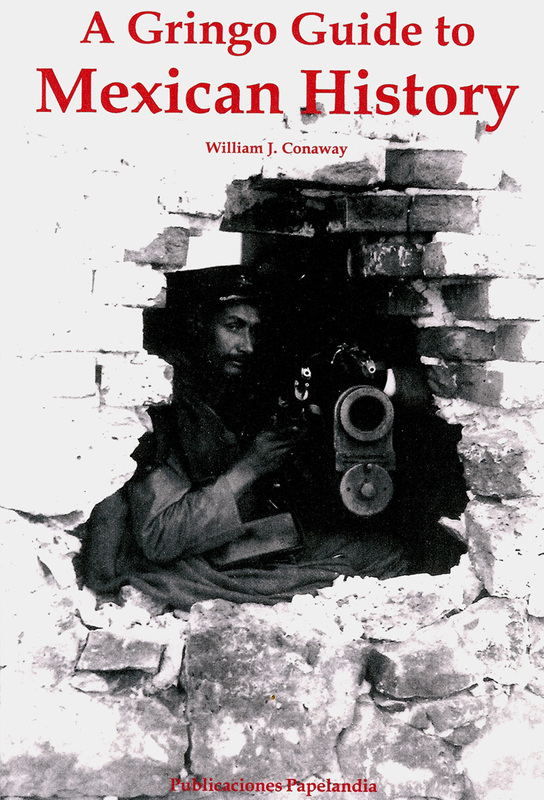 Search William J. Conaway. 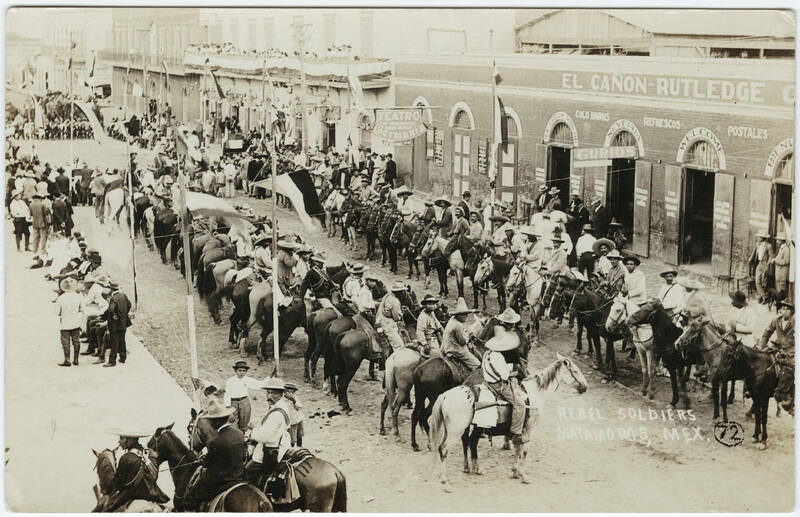 Tags: Cinco de Mayo, Mexican History, Mexico, Puebla de Los Angeles, walking tours, William J. Conaway. 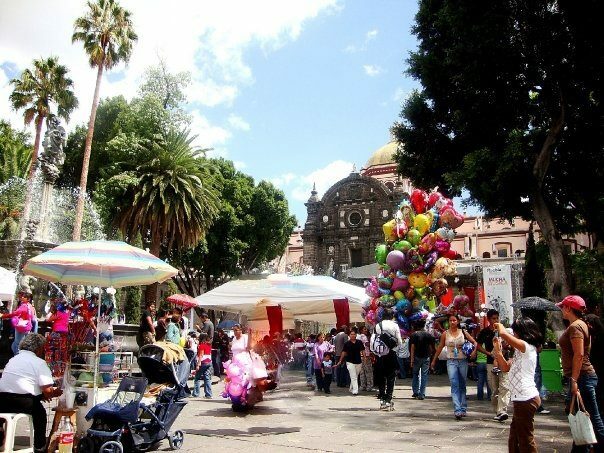 The city of Puebla, capital of the state of the same name, is located in the large, high altitude, Puebla Valley, that connects to the Valle de México, 80 miles southeast of Mexico City. It is one of the oldest Spanish Colonial cities, founded in 1531, on a site not previously occupied. Legend has it that a band of angels appeared to Bishop Julian Garcés pointing to the location of the future city. Puebla is renown for its distinctive Spanish Colonial architecture, and UNESCO designated it a World Heritage City in 1987. A truly Spanish Colonial city of imposing civil architecture next to centuries old churches. The Spaniards, with the aid of native artisans, left behind a magnificent architectural legacy. A National Monument. Four volcanoes, the highest peaks in México, are visible, on a clear day, from the city: Popocatépetl (17,883 ft.), Iztaccihuatl (17, 338 ft.), La Malinche (14,632 ft.), and Citlaltépetl or Pico de Orizaba (18,855 ft.). Popo, as it’s affectionately called, is an active volcano occasionally spewing smoke and ash. 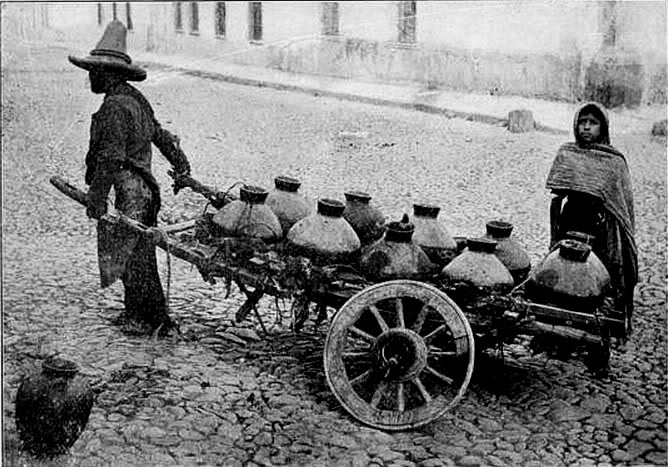 The city is officially known today as Puebla de Zaragoza, named for the General Ignacio Zaragoza, who successfully defended the city against the French Imperial Army on May 5, 1862. It is an important link between the Gulf Coast and Mexico City even today. An important agricultural, commercial, and manufacturing center. 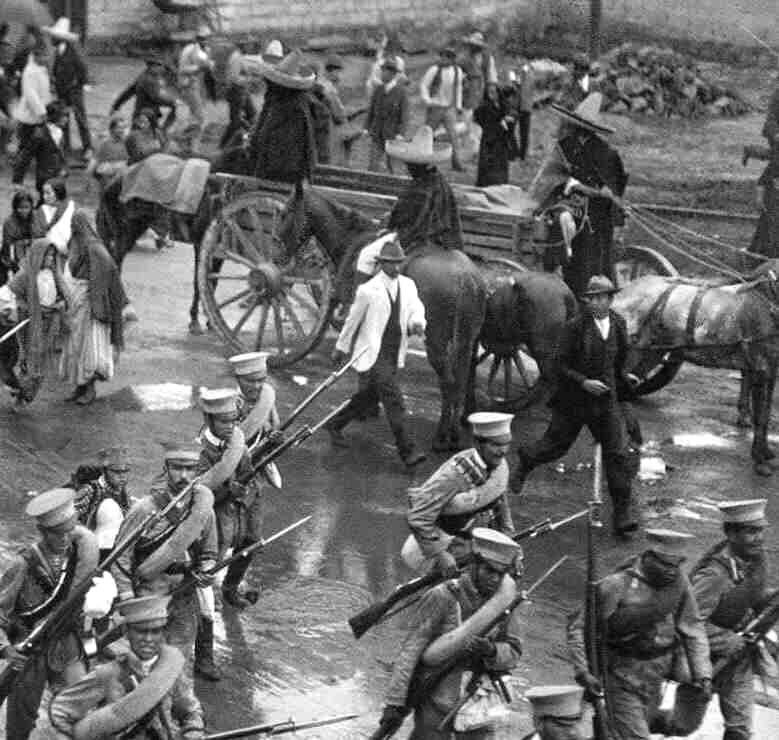 The population, as determined by the 2000 census, was 1,346,000 souls. Getting there: Wherever you are go to Mexico City, to the Terminal Norte, and take the ADO bus to Puebla. It’s that easy. Don’t drive. It’s not worth it. Too much traffic, and no place to park. There are hundreds of perfectly adequate hotels, but I recommend the Hotel Colonial. It’s right beside the Church of the Company of Jesus, and one block from the Zócalo. Puebla’s main Plaza, called the Zócalo, is the cultural, political, religious nucleus of the city and our tours will begin from there. The tree filled Plaza is flanked with beautiful, old colonial buildings, and graced with iron benches and a large fountain. The surrounding streets form a grid pattern adhering to the Spanish Colonial ‘blueprint.” The vivid talavera tile, evident throughout Puebla, was a craft brought here from Talavera de la Reina, a Spanish city near Toledo, Spain, and is produced here to this day. Here, right on the square you can find a Burger King, a Carl’s Jr., and around the corner a KFC. And all around the place are coffee shops of The Italian Coffee Company. What you won’t find are the usual junk shops for tourists. 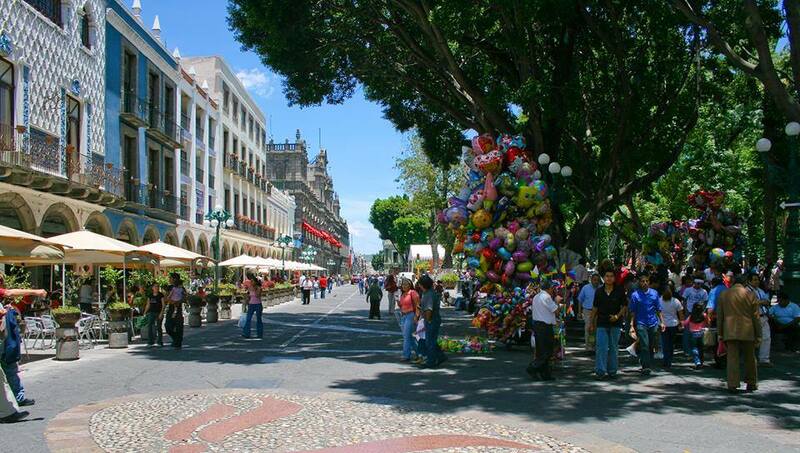 Puebla’s visitors are mostly here on business. The tourists I did see were mostly European. 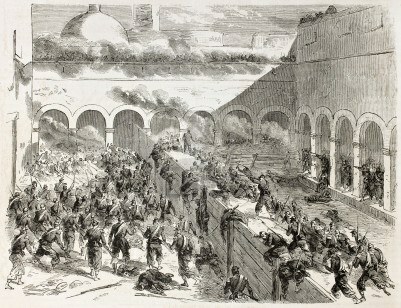 Tags: Mexico, Mexico City, Puebla de Los Angeles, Puebla de Zaragoza, walking tours, William J. Conaway.